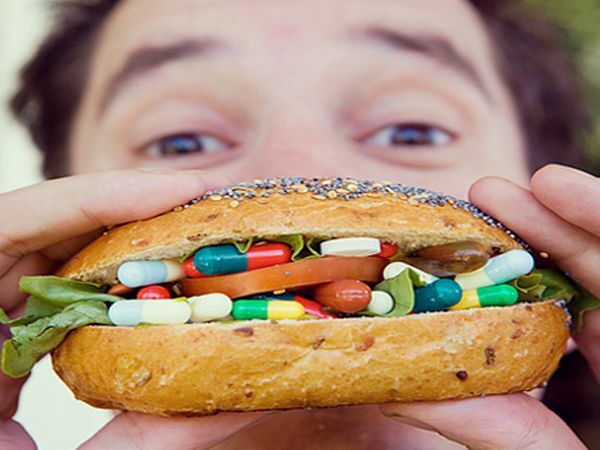 Dietary supplements cannot erase the sins of an unhealthy lifestyle. They can however be a very important component of any wellness program we wish to pursue. A good quality multi-vitamin/mineral - A good multi supports the minimum requirements of all the essentials. It fills in the gaps with respect to our daily food and beverage intake. Taking a daily multi can foster better health when coupled with good nutrition. Some research shows that several of the nutrients found in high-quality multi-vitamin/mineral supplements can play an important role in preventing many chronic diseases including heart disease, cancer, and osteoporosis. A daily multivitamin supplement ensures an adequate intake of several micronutrients that are not always present in the diet in optimal amounts. As with all supplements, it is essential to use only high-quality, bio-available multivitamins which are lab-tested and independently certified. In the US, supplements are not under the direct control of the FDA and many of the cheaper OTC brands fall far short of their dosage claims. Also, as a result of their processing, many vitamins are never fully digested, and therefore pass through the body unutilized. There are pharmaceutical grade supplements which are usually available through a doctor’s office. Such supplements are superior. Magnesium – Magnesium is a mineral required by each and every cell in your body. Magnesium has a role in maintaining normal muscle and nerve function. It keeps the heart rhythm steady, and promotes strong bones. It is also involved in energy metabolism and protein synthesis. Recent studies have shown that magnesium may be the most important dietary mineral. Most Americans and Europeans are deficient in magnesium. Magnesium deficiencies are associated with increased mortality from all causes. Magnesium is essential for calcium utilization as well as 300 essential bodily functions. Vitamin D3 – Science now recognizes the importance of vitamin D (D3 is the most usable form). Humans make vitamin D in the presence of sunlight. The problem is that people spend far too much time sheltered from the sun. Therefore, people tend to be markedly deficient in vitamin D. Research shows that this vitamin is protective against all cancers. It is essential for calcium utilization which strengthens bones. It helps prevent diabetes, heart disease and Alzheimer’s disease. It can also raise immunity and improve mood. Omega 3 Fish Oil - Omega-3 fish oils can have many health benefits. Its active constituents EPA and DHA protects against heart disease and diabetes. Fish oil is highly anti-inflammatory. Fish oils help to heal blood vessel walls, preventing hardening of the arteries. It thins the blood minimizing the chances for clotting. It lowers blood pressure, and stabilizes blood sugar. It also can improve mood. Probiotics – Probiotics are live, naturally-occurring microorganisms (usually bacteria) which function in the digestive tract to maintain normal digestion. These beneficial bacteria boost the immune system, and contribute to general health. Probiotics can also be helpful in maintaining urogenital health. While the body needs an adequate amount of good bacteria for normal function, such bacteria is either made inadequate by today’s lifestyle or destroyed by antibiotic use. When there is an imbalance between good and bad bacteria the digestion system suffers. The immune system then becomes distressed making the body more vulnerable to infection, odor, bad skin, exhaustion and numerous other adverse conditions including Crohn’s Disease, irritable bowl syndrome, gastrointestinal upset and diarrhea. Co-enzyme Q 10 (CoQ-10, also known as ubiquinol) – CoQ-10 is a naturally-occurring compound found in every cell in the body. It boosts cellular energy and ATP production. It is also a powerful antioxidant. CoQ-10 also helps your body burn fat, improves cholesterol ratios, and can raise your overall physical energy level. Coenzyme Q10 benefits the heart, brain, and kidneys. It also improves thyroid and pancreas functions. It also helps limit the damage caused by cholesterol lowering drugs. Some diabetes drug, antidepressants, female hormone replacement therapy and blood pressure medications can lower natural levels of CoQ-10. Zinc - Zinc is found in every tissue in the body and is directly involved in cell health and reproduction. It is a powerful antioxidant. Zinc can help prevent certain forms of prevent cancer and is involved in endocrine function and the maintenance of proper hormone levels. Zinc activates white blood cells to fight ``infections and can protect against viral infections. Zinc deficiency is linked to infertility, prostate problems and decreased libido. Insufficient levels of zinc can increase the negative effects of stress and accelerate the aging process. Zinc is necessary for optimal energy and proper body composition. Zinc also plays a role in protein synthesis and is required for proper function of red and white blood cells. It is highly concentrated in our bones, the pancreas, kidneys, liver, and retina. Zinc helps the pancreas make insulin in order to maintain normal sugar levels. Zinc is also important for maintaining a normal sense of taste and smell and maintaining a good memory.